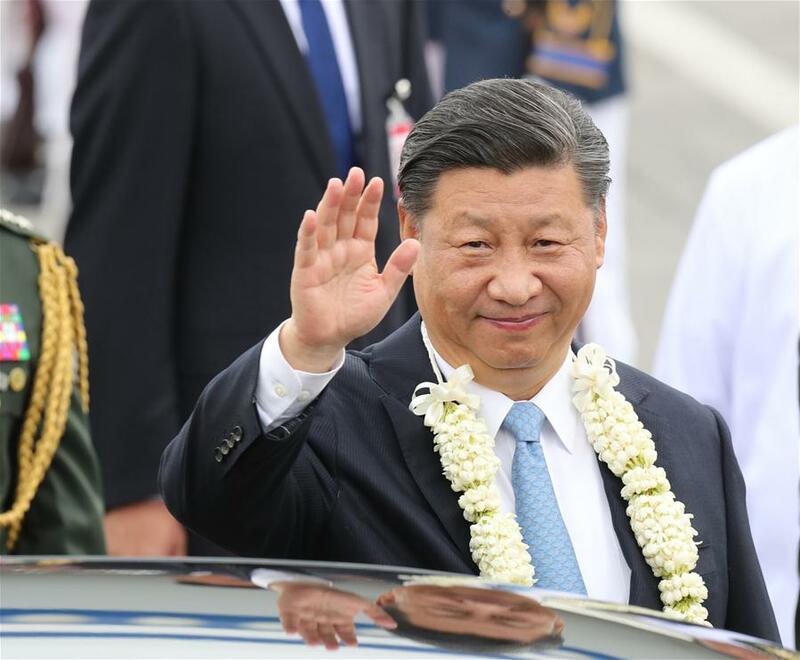 MANILA, Nov. 20 (Xinhua) -- Chinese President Xi Jinping arrived here Tuesday for the first state visit to the Philippines by a Chinese head of state in 13 years. On behalf of the Chinese government and the Chinese people, Xi expressed cordial greetings and best wishes to the Philippine government and its people upon arrival at the airport. As friendly neighbors across the sea, China and the Philippines enjoy geographical proximity and a strong bond that links the two peoples and cultures, Xi said. Since Philippine President Rodrigo Duterte took office, thanks to the joint efforts of the two sides, China and the Philippines have reopened the door of friendship and cooperation to each other, bringing real benefits to the two peoples and making important contributions to regional peace, stability and prosperity, he said. Good-neighborliness and friendship is the only right choice for China and the Philippines, two developing countries and emerging economies in Asia, he said. "As I start this visit, I look forward to meeting with President Duterte for an in-depth exchange of views on how to further strengthen China-Philippine relations and on regional and international issues of mutual interests," Xi said. Xi said he is convinced the visit will cement the traditional friendship, deepen the mutually beneficial cooperation and enhance the joint efforts of China and the Philippines for common development. It will surely inject fresh and strong impetus into the good-neighborly relations and friendship between the two countries for the benefit of the two peoples, he said. The Philippines is the last stop of Xi's three-country Asia-Pacific tour. He has already visited Papua New Guinea, where he also attended the 26th Asia-Pacific Economic Cooperation Economic Leaders' Meeting, and Brunei.